Dr. Julie Nagel, a concert pianist and Juilliard graduate, will present a session on exploring the deeper layers of stage fright and other psychological roadblocks. Dr. Nagel also holds 3 additional degrees -- MSW, MA (psychology) and Ph.D. (psychology and social work). Her book “Managing Stage Fright” will be available for sale. Guest Artist Louis Nagel, Professor Emeritus of Piano at the University of Michigan School of Music, Theatre and Dance, will present a concert on Saturday evening and a joint masterclass with Julie Nagel on Sunday morning. Dr. Jill Sonke, Director of Arts in Medicine at the University of Florida will be the Keynote Speaker for the first General Session. She will moderate a Panel of Physicians on Friday morning. Dr. Ingrid Clarfield, Banquet Speaker, will present a session titled “Classics for the Developing Pianist and Study Guides”. Dr. Heather Malyuk, a musician and audiologist who hails from Northeast Ohio, but is known internationally as an expert clinician and public speaker in the field of hearing wellness, is the founder of Soundcheck Audiology, a mobile, concierge wellness practice. Angela Galestro Smith, BM, MM, is a flutist who will be sharing her personal journey of contending with a potentially career-ending medical diagnosis and the critical role that her flute teacher played in her recovery. Dr. Dusty Narducci, a specialist in Sports Medicine and Family Medicine, will address medical conditions of musicians. Dr. Gail Berenson and Dr. Charles Turon, the FSMTA Wellness Committee, Co-Chairs: Gail Berenson, Ohio University professor emerita of piano, is a renowned presenter on musicians’ health, having lectured in more than 30 states and 11 countries. An MTNA past president, she was the recipient of the 2015 MTNA Distinguished Service Award. 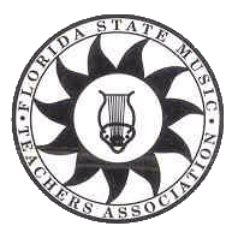 Charles Turon, past FSMTA President, taught for over 35 years at the State College of Florida, serving as Chair of the Department of Fine Arts, Program Manager for Music, and Coordinator of Keyboard Studies and Music Theory. Since retiring from full-time college teaching, he has become increasingly active in health and wellness issues for musicians and music educators.